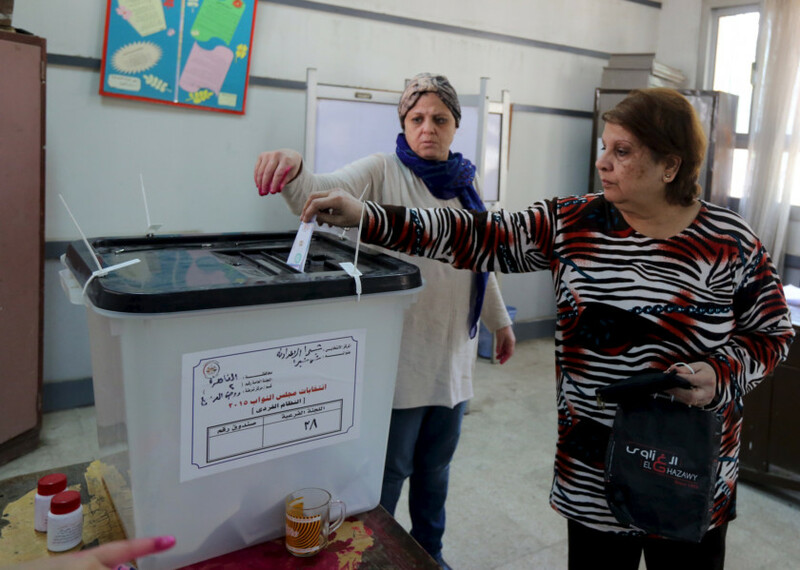 Cairo: Secular parties have scored big wins in Egypt’s parliamentary elections, the country’s first since President Abdul Fattah Al Sissi took office more than a year ago, unofficial results showed on Friday. The Free Egyptians Party, founded by business tycoon Najuib Sawiris, claimed to have taken the lead with 65 seats in the two-round polls that ended this week. The party is a partner to For love of Egypt, an alliance made up of secular parties, businessmen and ex-government officials known for backing Al Sissi. The alliance has swept clean all the 120 seats allocated for party-based slates in the election that also comprised individual candidacy. The Future of the Homeland, a nascent secular party set up last year, has won 50 seats, followed by Al Wafd, Egypt’s oldest liberal party with 45 seats, according to the unofficial tallies. Both parties are also known for backing Al Sissi. The Salafist Al Nour Party, which held a quarter of Egypt’s last Islamist-led parliament, secured 12 seats this time, according to its spokesman Sharif Taha said. Officials in the ultra-conservative party had earlier attributed its dismal performance in the polls to what they called a “smear campaign” mounted by secularists. Al Nour was the only Islamist force to compete in the elections, which ran from mid-October to early December. The Muslim Brotherhood, which came first in the 2011 legislative vote, is already outlawed with its Islamist allies dismissing the recent polls as a sham. An election commission was expected later Friday to announce official results. The new parliament is Egypt’s first since 2013 when the army led at the time by Al Sissi, deposed Islamist president Mohammad Mursi following enormous street protests against his one-year rule. Egypt’s electoral mixed system allocates 80 per cent of parliament’s elected 568 seats for individual candidates and the remaining 20 per cent for political parties based on the winner-takes-all absolute list system. The president is authorized to appoint 28 more members, bringing parliament’s seats to 596. The new legislature is expected to hold its maiden meeting later this month. Under a 2014 constitution, the new parliament has vast powers, including the right to call for an early presidential election.. The parliamentary elections marked the third and final step in a political transition roadmap announced following Mursi’s removal. The first two steps were rewriting an Islamist-crafted constitution and holding a presidential election.